The largest region on mainland Italy is Piedmont, taking up most of the northwest corner of the country. It's a historically and gastronomically significant region, and had a memorable moment on the world stage as the host of the 2006 Winter Olympics in Turin. 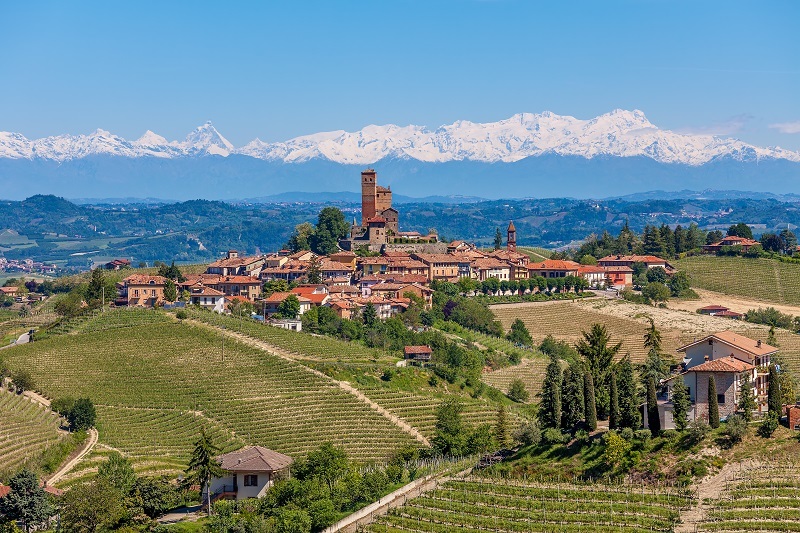 The name “Piedmont” roughly translates in Latin to “at the foot of the mountains,” which should give you some idea of the region's terrain. Piedmont is nearly circled by Alps, and although there are flat plains and some hills, it's mostly made up of mountains. Turin, the capital of Piedmont, was the original capital of a unified Italy in the 1860s, before the capital was moved to Rome. Some of Italy's most sought-after wines are grown in the region, and the now-world-famous 'Slow Food' movement was born in Piedmont. There are two UNESCO sites in the region, including the Royal Houses of Savory near Turin, and part of Lake Maggiore is in Piedmont too. In the winter, the mountains are a big attraction for skiers and snowboarders. There are plenty of cities and towns in the Piedmont region that you can reach by train, including the town of Alba, which is famous for its food and wine. To really get out and explore the great outdoors, however, your best bet is to rent a car.